Microsoft's successor to the widely-derided Windows Vista has been long since replaced, but it's not quite hit retirement age yet. Soon after Vista had been consigned to the dustbin of history, Microsoft's Brandon LeBlanc blogged that more than 240 million Windows 7 licenses were sold within the operating system's first year. At the time it made Windows 7 the fastest-selling operating system in history. It's not hard to see why that happened. It wasn't just that Vista was a particularly hated version of Windows. Windows 7 was (and perhaps still is) the easiest version of Windows yet. It's no longer the most powerful OS Microsoft has ever built, but it still works great on desktops and laptops alike. Its networking capabilities are pretty good considering its age, and security is still strong enough. In other words, you can still use Window 7 with confidence for work and play. 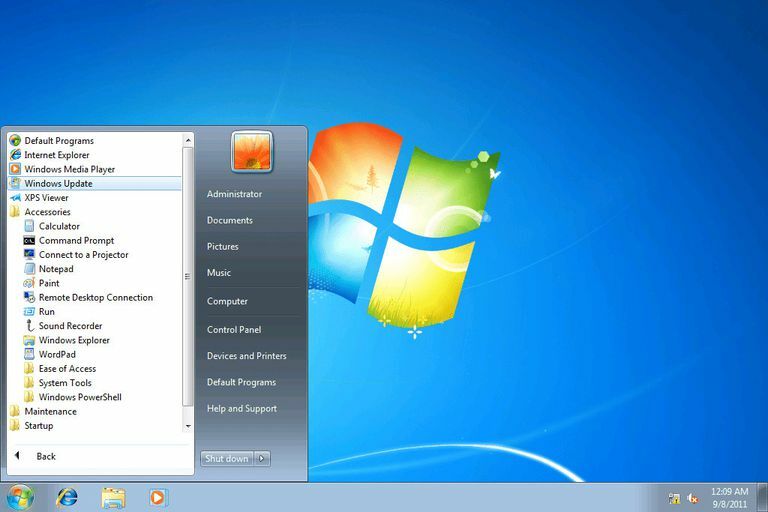 In honor of the operating system and its popularity here are 6 things we like best about Windows 7. The taskbar was one change to the classic Windows interface element that changed everything. The Windows 7 version makes the OS so much more usable. We're speaking of course of being able to "pin" items to the taskbar. It makes getting to your oft-used programs simple. The other (now classic) feature is the jump list. With a simple right-click on the taskbar, you can quickly get to recent files or important parts of the program; a tool that also makes you much more productive. The Aero interface is just a translucent look. All it really does is allow you to see what's behind the windows on your desktop. But it makes finding stuff easier. It also has a clean, professional look that Windows XP, for all the love it (still!) gets, can't touch. While it's arguable that the Action Center really came into its own with Windows 10, the Action Center was excellent in Windows 7. Think of it as an early warning system for your computer. It's accessed through the little flag in the lower-right corner. If it's white, you're OK. If it has a red "X" over it, something important needs your attention. It's great for heading off problems before they become bigger. Part of the Aero interface, Aero Snap lets you move around and resize open windows – one of the most common tasks users perform. Its kissin' cousins are Aero Peek and Aero Shake, which are also shortcuts for moving windows around. Learn and use these tools if you don't already. You'll be amazed at how much time you can save by taking advantage of them. Search is vastly improved in Windows 7. Type a search term in the window (the one right above the Start key when you click on it), and relatively quickly you'll get a list of results. What's great is that the results aren't just presented as one huge list – they're grouped into categories like Programs, Music, and Documents. It makes finding your files a snap. Search is also pretty fast with far less waiting for results compared to Vista or XP. It's not nearly up to the quality of Windows 10's near instant results. Nevertheless, Microsoft did it right with search in Windows 7.